My week-long journey in Jamaica planted seeds in my soul that will keep on growing and will possibly teach others the joy, compassion, and love of God. 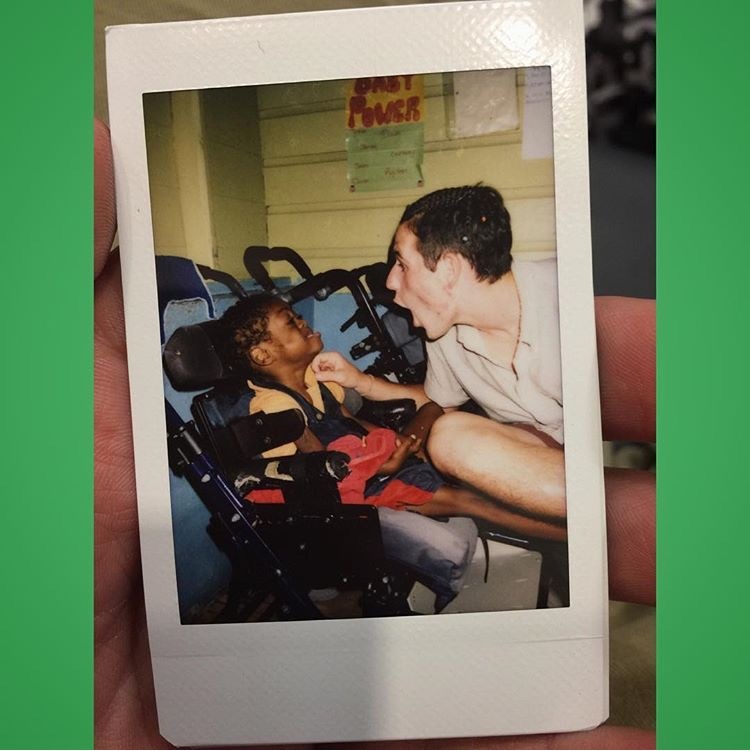 "My Mustard Seed experience is one that I will never forget. My week-long journey in Jamaica planted seeds in my soul that will keep on growing and will possibly teach others the joy, compassion, and love of God. This little man right here fulfilled my heart during my trip. Every time I look back at this picture I smile. This is Johneil. Although he can't speak verbally to me, he spoke to me in so many ways. He is so kindhearted, so strong-willed, and clearly courageous. Johneil ate his food like a champ, always opening wide when I put the spoon to his mouth. Every once in a while he would jerk his body and start laughing. He loved to move around and jiggle his body. A true fan of music, Johneil was quite the dancer. Johneil's smile is nothing short of contagious. Thanks to Johneil, I learned that God's beauty is in everyone and everything that I look at. I try to find God in the things that can draw me away from Him. Thank you, Johneil, for teaching me amazing lessons and for enhancing my Mustard Seed experience."